Sockets of arid thistle, punctuated with prickly pears and creosote. In a slow ocular dawning my eye corner notices a damp wash.
A centerline trickle of water causes my head to tilt and squint in the sun. A rich overlay of desert clover to rest my feet while sitting on a boulder. 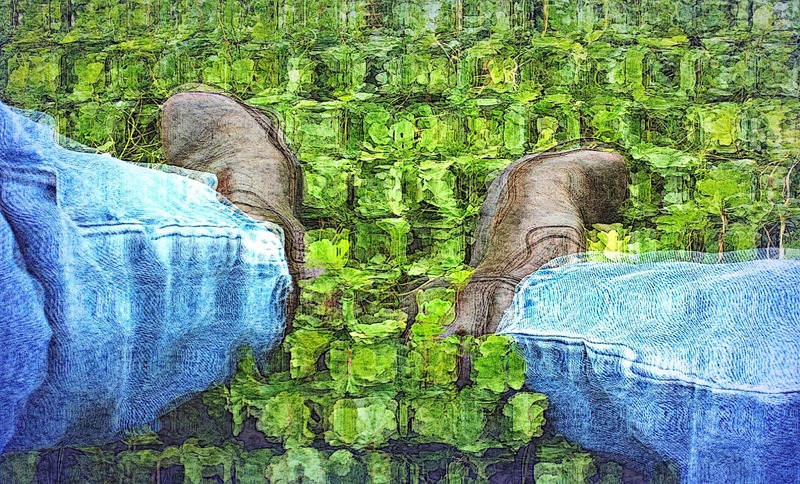 Enveloping my boots it tantalizes my feet before being soaked in cool water.